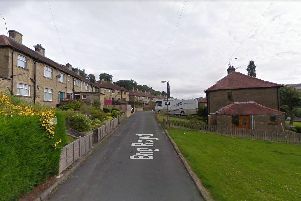 Boothtown Road, near Queensbury Road, Halifax. Picture: Google. A man who died following a crash involving a lorry in Halifax has been named. The collision between the silver Vauxhall Vectra and the Mercedes Actros lorry, in Queensbury Road, happened at about 1am last Friday. Police today named the 36-year-old, who was travelling in the Vectra, as Mohammed Kamran Ramzan. Mr Ramzan died in hospital from his injuries after the crash. The driver of the HGV stopped at the scene and has been assisting police with their enquiries, West Yorkshire Police said. The force has is continuing to appeal for any witnesses to come forward. Anyone with information is asked to call police on 101, quoting log number 68 of December 14.